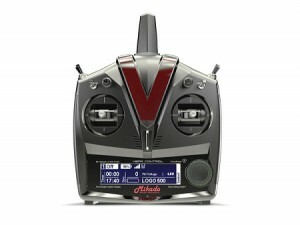 VBar Control flight analyzer is a graphical log viewer for the RC transmitter VBar Control by Mikado Model Helicopters. It is an independent commuity project by Linus Larsson. VBar Control flight analyzer can be used as flight logging, keep track of number of flight on your models and batteries. This is fully automatic, no need to feed in tedious flights yourself! You can also use it to see graphs from the Mikado current sensor log for troubleshooting and tweaking for example your governor performance. VBar Control flight analyzer is free to use and even modify, the source code is hosted at Github. Prebuilt binaries are available for Windows and Mac. Disclaimer: If you are upgrading from 4.x version of the analyzer, please backup the .vcontrol.db in your home directory before launching 5.x. Developing software takes time, 1and even though it’s fun time a monetary compensation is always appreciated. Donate what you think VBar Control flight analyzer is worth by using the Paypal button below!